Evidence of the Grade of Royal Ark Mariner appears in Masonic records at a very early date and the very abundance of data is to be considered as detrimental, rather than helpful. To even approximate the earliest working of the Grade is impossible and legend of such a working must suffice at this time. In his Constitutions of 1733, Dr. James Anderson mentioned that we should all conduct ourselves as sons of Noah (or Noachidć). There are many who assume that this is a reference to an Ark ceremony, but this study is neutral. It is possible, though hardly probable; the question depends upon what might be termed the date of the speculative Grades. Further, in some quarters it is a more or less accepted theory that the Ark and Anchor with which we are so familiar in the Craft are but indications of an ancient Ark ceremony of yesteryears. It is assumed that an ancient Grade relating to the Deluge was discontinued and the symbols thereof incorporated into the lectures of the Craft. This theory, likewise, is possible, but the present study does not either accept or deny the possibility of such a theory. On page 108, Vol. VI, A.Q.C., Bro. W. J. Hughan mentions two very old brasses of the “Ancient Stirling Lodge,” of Scotland. At the top of one of the brasses appears a crude Ark and Dove, under which is “Redd Cros or Ark;” below this drawing are other drawings, illustrating “Knights of Malta” and “Night Templer,” and probably the Royal Arch. While these brasses have been assigned a date so early as the seventeenth century, Bro. Hughan does not concur therein; he suggests that they are mid-eighteenth century, which appears more reasonable. Thus, without dates, some evidence is indicated of an early working of the Ark ceremony. The mention of the Ark Grade in intimate connection with the old Red Cross appears to have been quite usual in the eighteenth century. There are also early references in America, but these we omit. 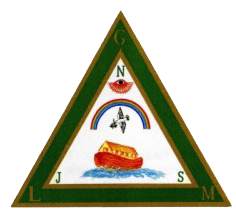 The Grade of Royal Ark Mariner is today worked under two authorities, other than in this country: (1) In Scotland the Grade is worked in a Lodge attached to a Royal Arch Chapter under control of Supreme Grand Royal Arch Chapter, and (2) in England it is worked in a Lodge, attached to a Mark Lodge, and under the Grand Lodge of Mark Master Masons, of that country. The Ritual of the Grade used by the Grand Council of the Allied Masonic Degrees of the United States of America, is the same as that worked today in Scotland. The legend is of the Deluge and it is both beautiful and instructive. There is one other variation, peculiar to the defunct Grand Sovereign College, and thus to the “Time Immemorial” Councils. It is referred to loosely as the Degree of Royal Ark Mariner, or more accurately, by its members, as the Degree of Ark and Dove. It is a corruption of the English variant of the Grade, with numerous modifications and additions, including an oath of temperance toward alcohol. It could be conferred upon any Master Mason, thereby displaying a further deviation from the English variant. By the terms of Union between the Grand Council and Grand Sovereign College, the latters councils retained the right to confer this variation. This Degree was thus propagated and abused, the Josiah Drummond Council, No. 1 going so far as to invite in any Master Mason and confer the Degree upon him with any regards to petitioning or investigating the individual elevated. This abuse only ceased with the disbanding of the council in 1998. The remaining “Time Immemorial” councils have chosen to exemplify the Scottish Ritual of the Grand Council. Seven councils of the Grand Council still maintain the right of conferring the Grade upon any Royal Arch Mason, by virtue of holding separate Charters of Royal Ark Mariner Lodges. All other councils are considered to have a Royal Ark Mariner Lodge moored to their respective councils, and may confer the Grade only upon members of the Allied Masonic Degrees. The Jewel of the Grade is a silver Rainbow. Suspended from the inner upper edge of the rainbow is a silver Dove, bearing an olive-branch. The Jewel is suspended from a ribbon containing the colors of the Rainbow. The Apron of the Grade is white, bordered with a rainbow colored edge, and having three rosettes of rainbow colored ribbon, two at the lower corners of the apron, and one centered on the flap. Some councils still use the apron prescribed in early rituals, which is of a rams fleece, wool side worn out. The Sash of the Grade is approximately four inches in width, light green; or rainbow colored, and worn from the right shoulder and resting on the left hip.